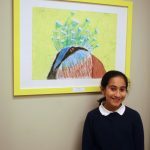 Paintings by 17 Bruce Guadalupe Community School students is now hanging in the Pediatric Department at Marquette School of Dentistry. 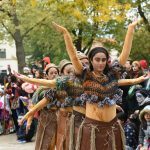 The eighth annual Dia de los Muertos Parade Milwaukee celebrated deceased loved ones with art, music, dance and food. 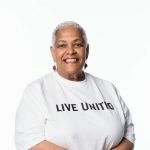 Sheila Cochran served on the Milwaukee Area Labor Council AFL-CIO for 18 years before becoming a co-campaign chair for United Way of Greater Milwaukee & Waukesha County. 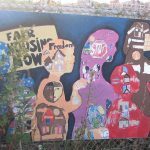 An Art Walk on the Hank Aaron State Trail gave attendees the opportunity to learn more about Milwaukee’s civil rights history and the Menomonee River Valley. A record crowd attended the sixth annual Silver City International Festival last weekend. 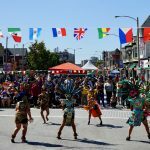 The festival celebrated the neighborhood’s diversity with a wide variety of local artists, food vendors and other activities.